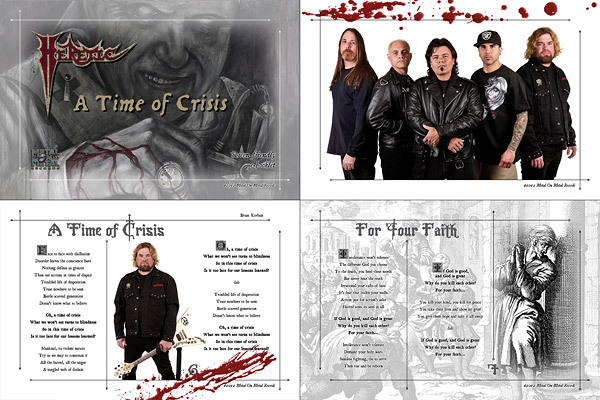 HERETIC's first album in 24 years "A Time Of Crisis" is now out on CD and has been getting very positive response from the press and fans. What the band presents on their new effort is not only top-notch musicianship, but most of all very classic and solid songwriting without any modern experiments - a perfectly balanced blend of power and thrash metal in the best American tradition. Some people say they picked up right where they left off back in '88, even though the recording and production quality is up to today's standards. 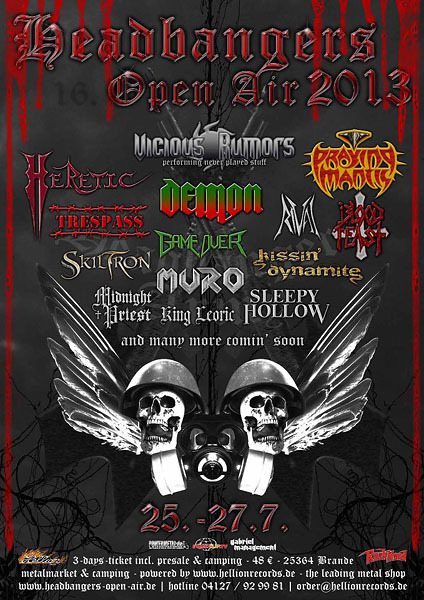 Apart from it, we've got great news: HERETIC have been confirmed for the next (16th) edition of Headbangers Open Air festival that will take place on 25th-27th of July 2013 in the north of Germany. The other confirmed so far bands include: Vicious Rumors, Demon, Praying Mantis, Blood Feast, Rival, Muro, Sleepy Hollow, Kissin' Dynamite, Skiltron, Trespass, Game Over and King Leoric. HERETIC are currently looking for more shows to play in Europe around the HOA festival.